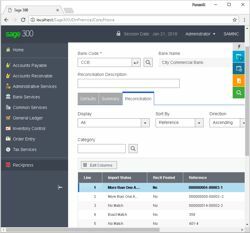 Peresoft is proud to announce the release of RecXpress for Sage 300cloud Bank Services 2018, the first of our cloud products for Sage 300cloud. 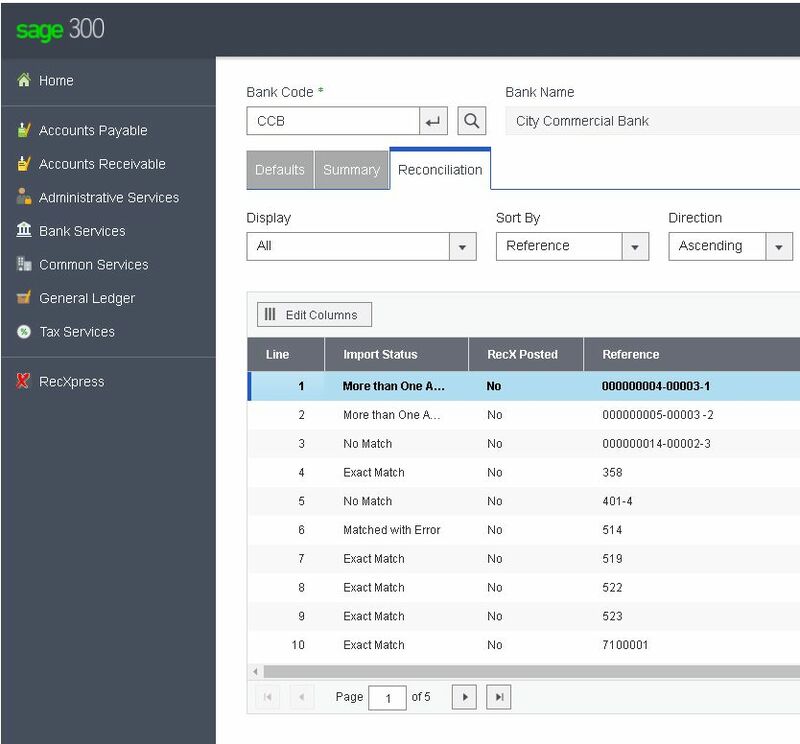 RecXpress for Sage 300cloud offers your clients anytime, anywhere, and any-device access to an automated Bank Services bank reconciliation. We develop all our products using Sage's Web SDK and strictly adhere to Sage's design specifications and standards. The results are an identical look and feel with 100% compatibility. Proven through years of use, Sage 300 cloud architecture is timeless in its design. Seamless integration and fast execution due to central server processing has resulted in one of the best cloud accounting systems available today. And of course, Cloud accounting means no installation requirements and huge savings in cost and time. Users are up and running instantly. The comfort of being in the cloud gives your clients total peace of mind.